Old Greenwich is where it all began. On July 18, 1640, the Siwanoy Indians, for the price of twenty-five English coats, sold the land that is now Old Greenwich to four Englishmen. One of the Englishmen, Jeffrey Ferris, named the area after his birthplace, Greenwich, England. As Greenwich developed to the west, Old Greenwich became known as “Old Town.” In 1872, the name was changed to Sound Beach at the urging of the New Haven Railroad, which preferred that name for its rail stop. So Sound Beach it stayed until 1930 when the area was renamed Old Greenwich. Old Greenwich has evolved from a farming community to a summer resort to the quiet commuter community it is today. Residents of the village take a particular pride in their community with its special amenities: its intimate downtown shopping center; proximity to popular Greenwich point with its fine beach, park and public boating facilities’ and scenic Binney Park, where Little League baseball and soccer are regular weekend events and the annual model sailboat races on the pond draw many young would-be sailors. In the prestigious town of Greenwich, Connecticut, on beautiful Long Island Sound, you will find a remarkable neighborhood known simply as Old Greenwich. Old Greenwich is a census-designated place in Fairfield County and serves as home to around 6,600 residents. 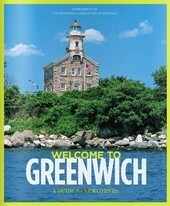 Founded in 1641, Old Greenwich is a charming community with a rich history. Old Greenwich was formerly known as Sound Beach and the main thoroughfare in the community is Sound Beach Avenue. What was originally called the “Sound Beach Railroad Station,” is now known as the Old Greenwich Railroad Station and serves the commuters in the area. The station was constructed in 1894 and is found on the National Register of Historic Places. Other remarkable features of Old Greenwich include Tod’s Point. Tod’s Point is the largest local beach situated at the southwest end of the neighborhood on a thin peninsula. Residents of Old Greenwich can purchase seasonal beach passes, while non-residents can purchase day passes. Old Greenwich is also home to a local golf club, Innis Arden, and is in close proximity to great options for shopping and dining. Throughout the years Old Greenwich has grown from a farming community to a summer tourist destination to delightful residential community. 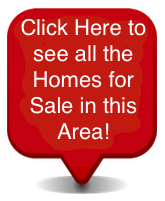 Homes for sale in Old Greenwich come in a variety of shapes and sizes. The price range of homes available in Old Greenwich is quite broad with listing prices varying based upon the property’s age, size, architectural style, location and special features. While some condos and townhomes in Old Greenwich can cost as much as $1.7 million, the average listing price for an Old Greenwich condo or townhome is nearer to $647,100. Single family homes in Old Greenwich are the most common housing option. Large and luxurious single family homes in Old Greenwich can have listing prices near $16 million, however the average listing price for an Old Greenwich single family home is nearer to $3.3 million. If you would like to buy a home in Old Greenwich of Greenwich, Connecticut, please contact us today for assistance or more information.